Some projects require a gentle touch. 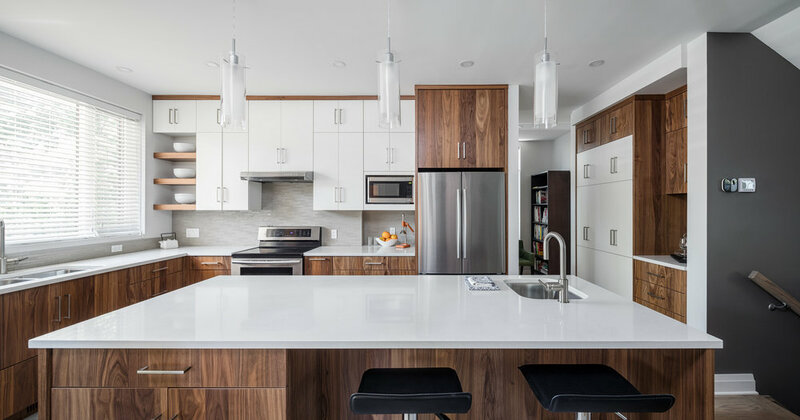 This house has been designed to sit softly in the neighborhood, with careful attention being paid to the massing and the selection of the cladding materials. The brick has been selected to compliment the surrounding houses and features an iron fleck which provides a rich variation in tone during the course of the day. This house has also been designed to be highly energy efficient. The walls have been insulated with spray foam in the stud cavity and mineral wool insulation on the outside of the sheathing. The result is an r-values of R60 in the roof and R40 in the walls. 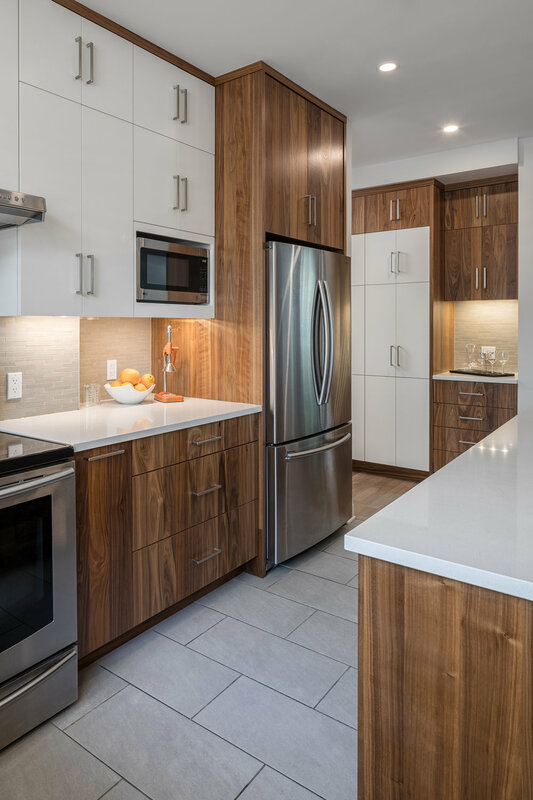 The being mindful of mobility issues of their extended family the clients placed great importance on barrier-free accessibility. Because of this, the ground floor of the house has been designed to conform with CAN/CSA Barrier-Free Requirements. Hallways have been designed to ensure wheel chairs can easily pass through and that there are turn-around zones. The washroom on the ground floor meets barrier free requirements and features a custom walk-in shower. 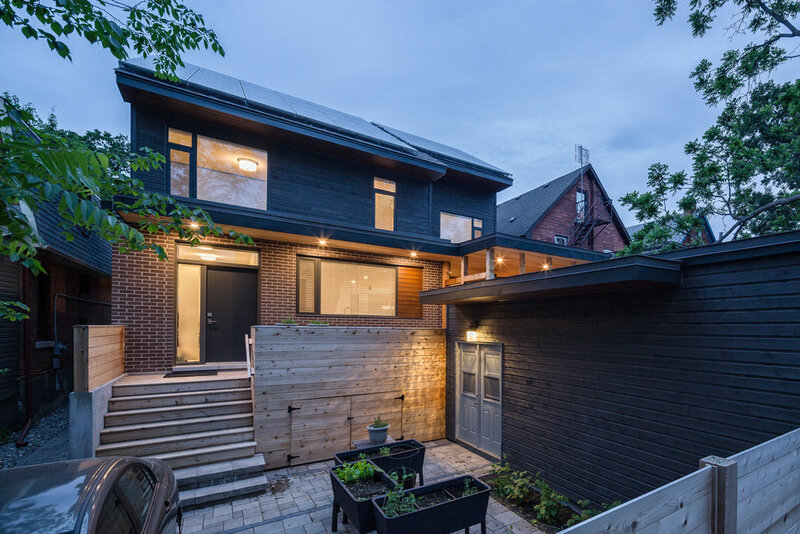 The house is proof that energy efficiency or barrier-free accessibility does not need to mold or guide the aesthetics of the design.